The account balance in Cash Manager Focus is reconciled to your bank accounts balance each day which makes it easy to pinpoint when the account may have become unbalanced. 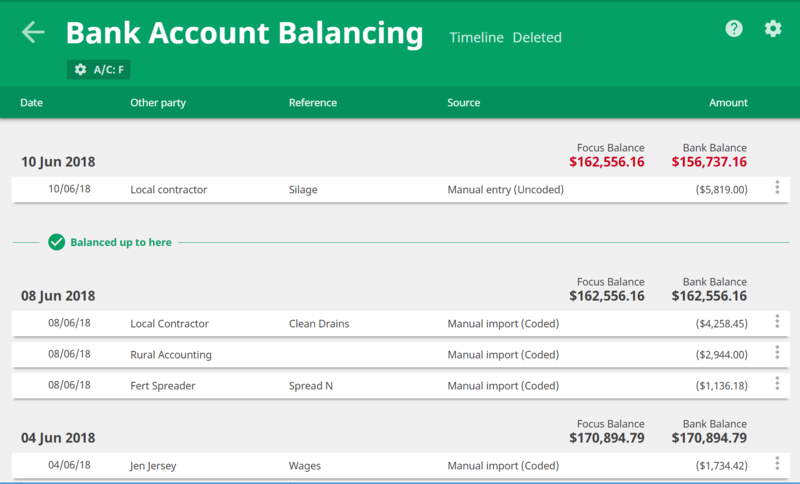 An unbalanced account balance is highlighted in red indicating that you need to look in the Balancing tab. You can do this by either clicking on the amount in red or clicking on the Balancing tab. 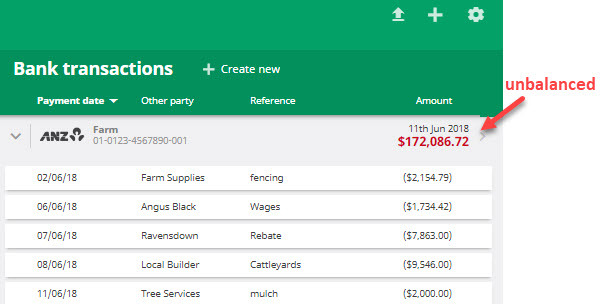 The balancing screen lists all bank transactions in date order and whether they were brought in through bank feeds, a csv/qif file from the bank, or manually entered. It also indicates whether a transaction has been coded or remains un-coded. What causes a bank account to become unbalanced? First check that the opening balance for the account is correct. To do so, go to Settings - Bank account. Un-coded bank transactions sitting in the Needs Action tab of the Actuals screen. This the primary reason an account is unbalanced. There may be duplicate transactions (recorded more than once). If so, remove any transactions that don't belong in the bank account. Transactions may have been deleted. TIP: To reinstate deleted transactions go to the Deleted screen of the Balancing tab.